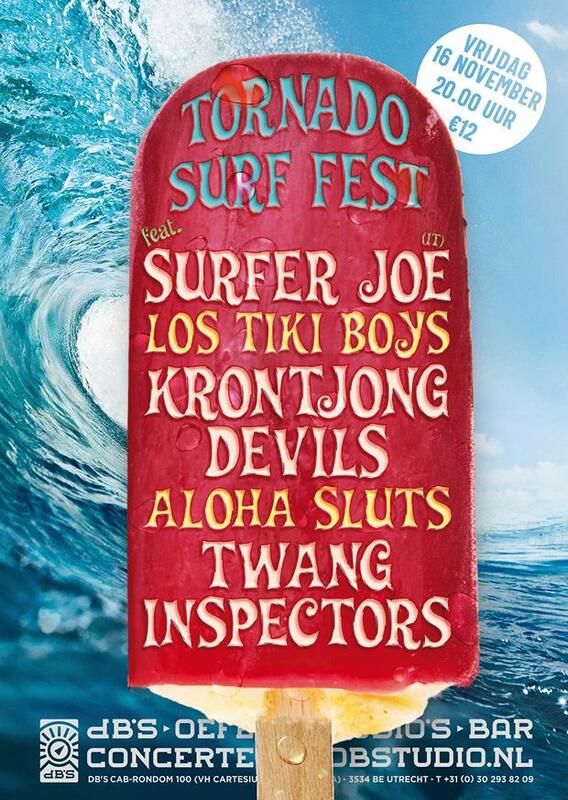 SurfGuitar101.com | News: Stories with tag: "surfer-joe"
KFJC-FM Ventures to Berlin to Broadcast Live Audio and Video from Surf Festival: Reverb Rampage! For its 10th live remote broadcasts, Foothill College radio station KFJC 89.7 FM travels to Berlin, Germany to broadcast sets from Reverb Rampage on October 27. Los Altos Hills, CA – The KFJC airwaves will be filled with surf music in the coming weeks, as the Foothill College radio station once again travels overseas to present live remote broadcasts, this time from Berlin, Germany. Volunteer and student-run non-commercial radio station KFJC 89.7 FM will broadcast live music performances from the surf music festival Reverb Rampage on October 27 Broadcasts will feature live streaming audio and video at KFJC.org. Local San Francisco Bay Area listeners can also tune in at 89.7 FM. A San Francisco Bay Area radio station broadcasting from a surf festival in Germany, featuring bands from Germany and Italy? Of course! Held at Cortina Bob in Berlin, Germany, Reverb Rampage #3 takes place on Saturday, October 27 and will include performances by Surfer Joe (Italy), Mikrowelle (Leipzig, Germany), Bang! Mustang (Leipzig, Germany), the Kilaueas (Berlin), and the Hicadoolas (Berlin). KFJC’s live broadcast will begin at approximately 10am PDT on Saturday, October 27, 2018. Visit KFJC.org during the festival for live audio and video, as well as for photos and more goodies during and after the festival. KFJC has been doing live remote broadcasts from outside of the San Francisco Bay Area for 24 years, with its first out-of-state broadcast from SXSW in Austin (1994). KFJC’s first international live remote was 22 years ago: from Brixton, England (1996). In 2000, KFJC volunteers traveled to Dunedin, New Zealand to broadcast 6 nights of live music from the Otago Festival of the Arts. This year marks the 10th anniversary of KFJC’s first international remote with live video. In 2008, KFJC went to Tokyo, Japan and transmitted its first-ever live four-camera video stream. KFJC’s other live international broadcasts with video have included Liverpool International Festival of Psychedelia (2014 & 2017), Eindhoven Psych Lab in Eindhoven, The Netherlands (2015 & 2016), Surfer Joe Summer Festival in Livorno, Italy (2016), and Live from the Icelandic Underground (2017). Reverb Rampage, KFJC’s 10th international live remote broadcast, will air over KFJC 89.7 FM on Saturday, October 27 (beginning at 10am PDT). To learn more about the festival, visit https://kfjc.org/events/. 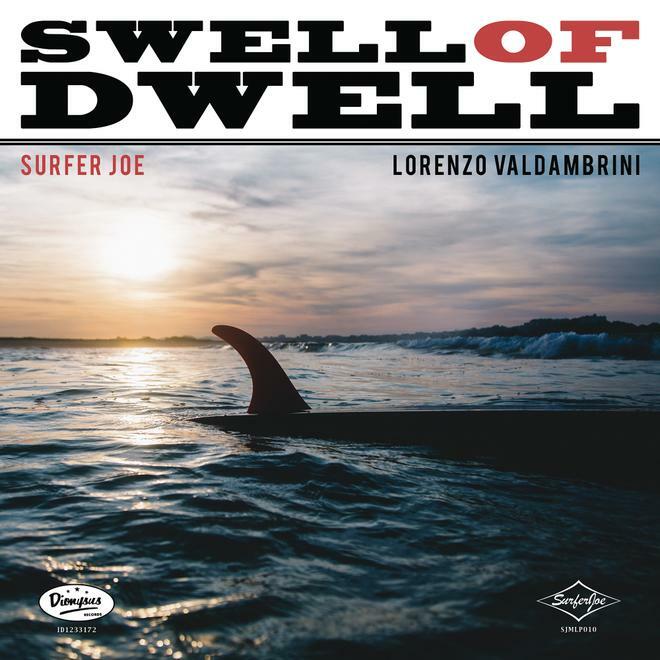 I am a Surf Guitarist and attended the International Surfer Joe Festival in Livorno, Italy in June 2017. I had a good time listening to some great international bands…. Please leave comments and/or send me a message if you see yourself in my Video. 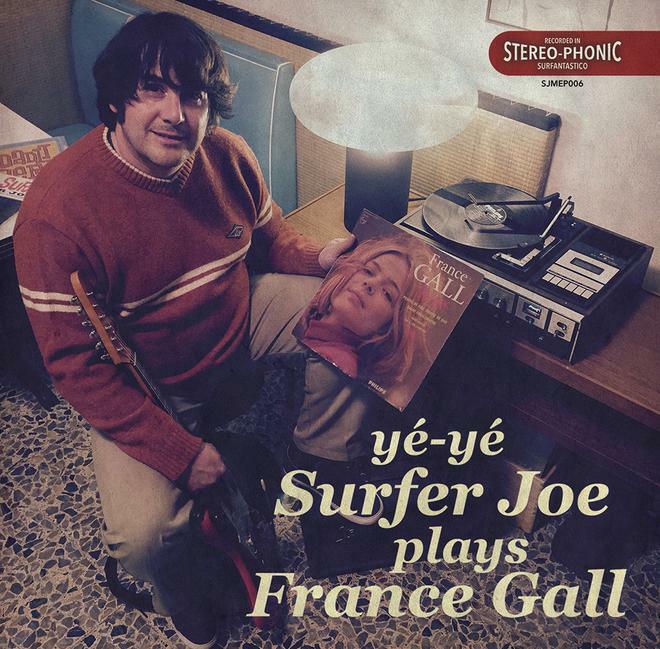 From January 1st it will be available a new EP in extra limited edition titled YÉ-YÉ SURFER JOE PLAYS FRANCE GALL. It is a very cool vinyl-like CD sold with cover and plastic sleeve. The CD-EP includes 2 covers of French yé-yé music revisited in instrumental music, 2 songs that were brought to the success by the Parisian singer France Gall in the late 60s. Consider it a Surfer Joe collectible item! It will be available for all shows of the Californian tour and online sales. Retail cost is 5 euros. So on OCTOBER 1st 2015 EL SONIDO COJONUDO DE SURFER JOE will be available on CD and digital downloads. 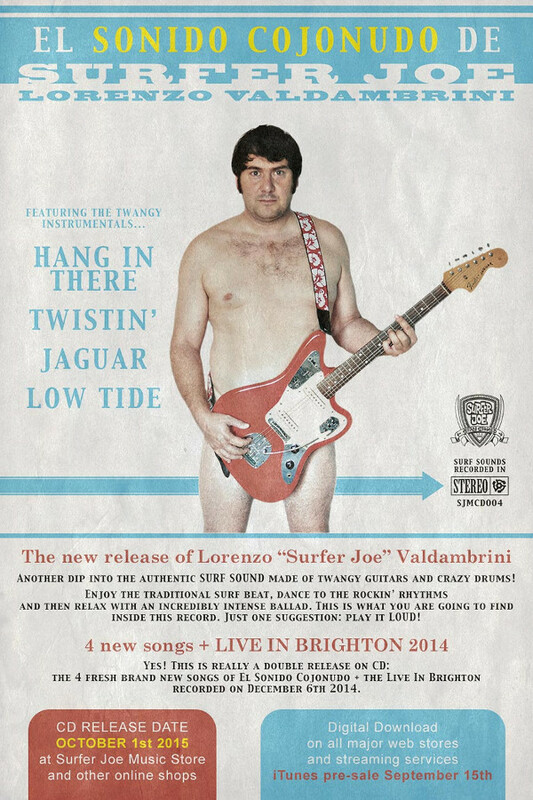 It includes 4 new songs and the Live in Brighton 2014 which is finally printed. We are talking about traditional surf music in 4 sparkling tunes, brand new songs in a cool packaging! On September 15th PRE-SALE will be available on iTunes! 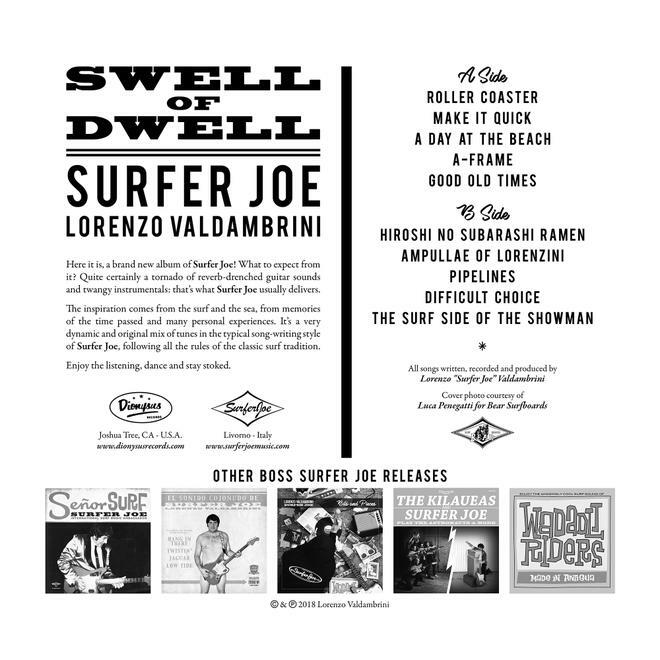 The CD can be purchased at the Surfer Joe Store and various online shops. The digital download and streaming will be on CDBaby, iTunes, Spotify, Deezer and all major services. Surfer Joe Summer Festival 2015 MUG available now! 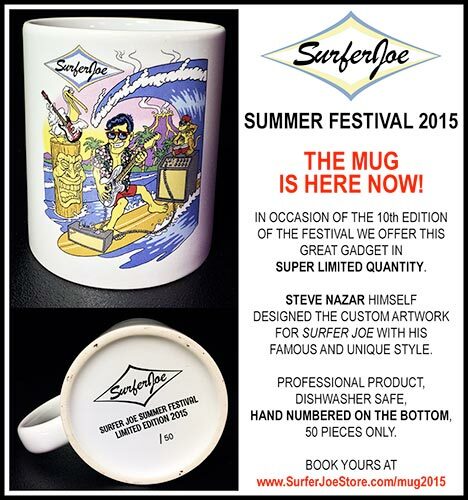 The Surfer Joe Summer Festival 2015 official MUG is now available for sale and order! Here we go, even this year we made it, very special and amazing! The artwork is by STEVE NAZAR himself (do you remember T&C Surf Designs in the 80s?) custom done for Surfer Joe. The mug is printed full colors. It is a commercial quality product, dishwasher safe. 50 pieces only, HAND NUMBERED on the bottom. 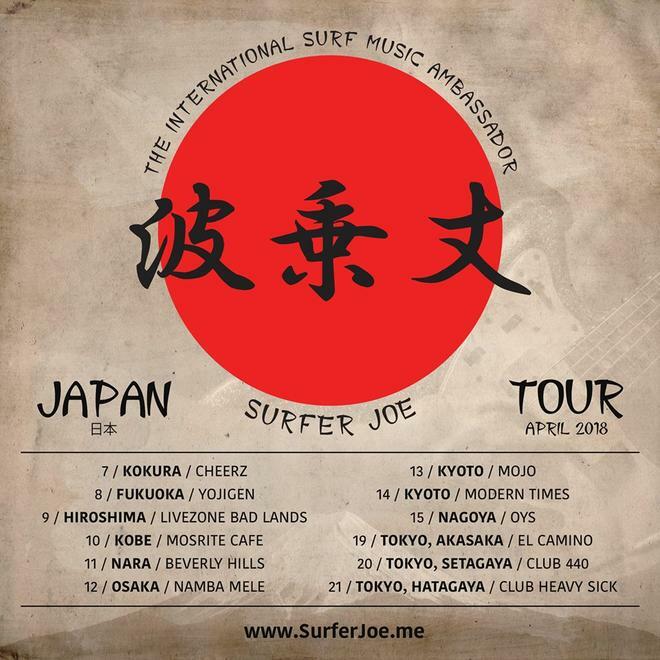 Write us at info@surferjoemusic.com and BOOK YOURS NOW. Pickup only at the Surfer Joe Festival in June (18-21, Livorno, Italy). I just discovered that somebody shot videos of the some of the seminars from the SurferJoe Festival 2014, so you can now learn everything about playing surf music directly from Dusty, Lorenzo, Dave and last but not least Mr. Paul Johnson himself. Enjoy!